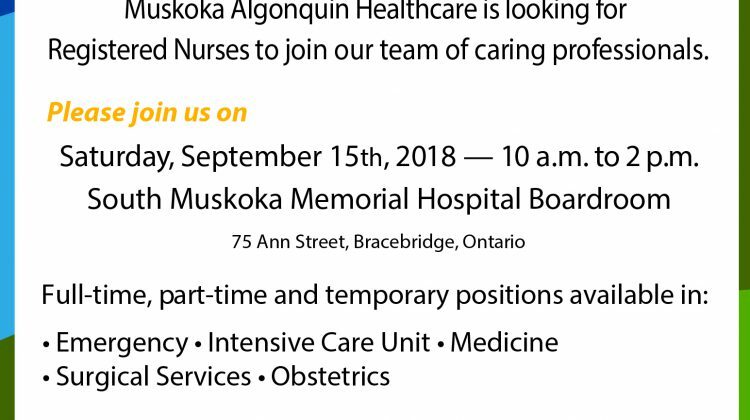 Muskoka Algonquin Healthcare is looking for registered nurses. With that in mind the organization is hosting a nursing career fair. 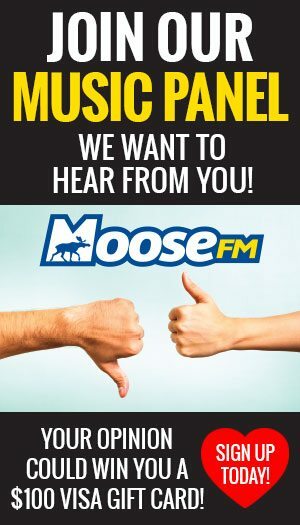 MAHC says the fair will give nurses a look at what working in a Muskoka hospital is like. MAHC runs the hospitals in Huntsville and Bracebridge. All applicants are asked to bring their up-to-date resume and to come prepared to be interviewed on the spot. “We have full-time, part-time and temporary positions available in medicine and in specialty areas like Obstetrics and Emergency,” explains Robert Alldred-Hughes, Chief Executive of Human Resources & Support Services. 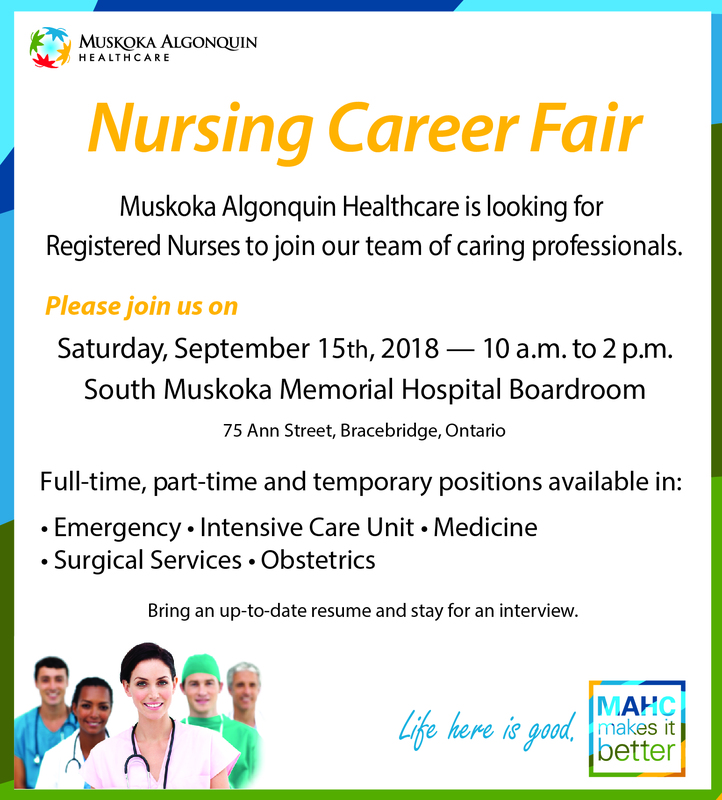 The nursing career fair is happening this Saturday from 10:00am to 2:00pm in the boardroom of the South Muskoka Memorial Hospital at 75 Ann Street in Bracebridge.